Wow! What a mushroom this is! Part of the family of mushrooms now classified as medicinal mushrooms, the Maitake mushroom is in a class all its own. A champion of sorts if you will. Unlike the regular button cap mushrooms we are all familiar with, Maitake mushrooms are brimming with nutrition. Providing a wealth of protein, B-Vitamins, Vitamin-C, Niacin, Potassium, Selenium, and a rich sources of fiber, you can't go wrong adding Miatake mushrooms to the dinner menu. Maitake mushrooms taste excellent, sporting a rich flavor and a meaty texture. A side dish of this spectacular mushroom sautéed to perfection is the perfect compliment to almost any menu. The Maitake mushroom originates in the mountains of Japan. With a firm yet supple base, they are easily identified by their cluster of dark fronds which become slightly crumbly at the edges. It is these dark fronds, which resemble the tail feathers of a hen that gives them their infamous nicknames,"hen of the woods "or"dancing butterfly." We can now find Maitake mushrooms growing on deciduous hardwoods in northern US temperate forests. There are now many companies that specialize in the cultivation of Maitake mushrooms under strict and controlled environments. This of course, in an effort to preserve the inherent and rich nutritional qualities of this revered mushroom species. Maitake mushrooms are rapidly becoming famous for their naturally occurring medicinal properties. Purported uses of this species in other countries include tumor inhibition, treatment of high blood sugar, high cholesterol, high blood pressure, and immune system stimulation. The medicinally active components of Maitake are found in the fruit bodies and the mycelium. As a result of medicinal uses in other countries, there now exist US laboratories and specialty producers who specialize in cultivating the active agents found in Maitake mushrooms for use in nutraceuticals. We can now find medicinal extracts of this remarkable mushroom species for sale in holistic health care offices and health food stores across the US. The maitake mushroom contains high concentrations of a specialized molecule called Beta 1, 3- 1, 6 Glucans. These complex molecular and naturally occurring compounds are thought to enhance the ability of the immune system to function at an optimal level. Research implies that immune system cells such as macrophages, T-cells, and interleukin -1 cells appear to activate and function at a more aggressive level when specialized Maitake compounds are taken in oral form. Recent research has also implied that naturally occurring maitake plant chemicals independent of the Beta compounds may indeed possess tumor fighting effects as well. While research into the magical mushroom known as the Maitake is still young, there is enough early evidence to imply that further research with regard to inherent health benefits is warranted. Interest in Maitake mushrooms and other members of the medicinal mushroom family as a whole has risen. The interest in the medicinal mushroom family as a whole has experienced a marked rise the past two decades in the US. According to Harriet Benfield, acupuncturist and author, "The movement began with healthy food in the late 1960's. Now it's health medicine." Though a fairly recent introduction to the US diet, it would be safe to say, the Maitake mushroom can prove a both a valuable addition to the daily diet. 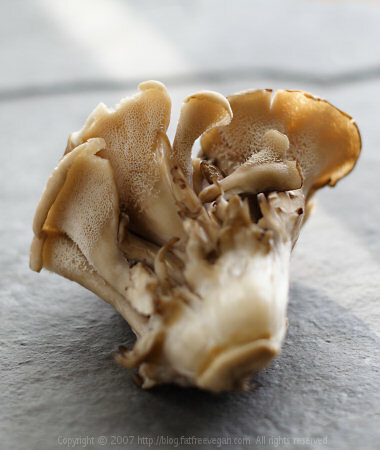 The naturally occurring extracts of the Maitake may also serve a beneficial function as part of a supplement regime. Have you had your serving of Maitake mushrooms today? Dr. Marty specializes in the treatment of compromised immune systems with the use of glyconutrients. These essential saccharides, often reffered to as essential sugars have proven effective across a wide array of immune system difficulties.